Ms Gadhia, born in Stourbridge, West Midlands, was educated at Royal Holloway, University of London, and is a chartered accountant. She has worked for companies including Ernst and Young and Norwich Union, before later becoming one of the founders of Virgin Direct and launching the market-leading Virgin One account in 1998. In 2001, Virgin One was acquired by the Royal Bank of Scotland (RBS), for which Ms Gadhia went on to lead a number of RBS business units before ultimately joining the RBS Retail Executive Board where she was responsible for the RBS Group’s mortgage business. In 2007, she re-joined Virgin Money and is now the first female Chief Executive of a publicly-listed UK bank. In 2014, Ms Gadhia was awarded a CBE for her services to banking and the voluntary sector. More recently, she delivered the North East Chamber of Commerce’s (NECC) 200th Anniversary Lecture at Northumbria University’s Newcastle Business School where she outlined the opportunity she has to bring a new, fresh and distinctive approach to UK banking.Virgin Money is one of the longest-standing NECC 200 Patron members. Speaking of receiving an Honorary Doctorate of Civil Law, Ms Gadhia said: “It was a great honour to deliver the North East Chamber of Commerce’s 200th Anniversary Lecture at Northumbria University’s Business School last year. I am delighted to be back and to be recognised in this way by Northumbria University.” Ms Gadhia received her degree alongside students graduating from Northumbria’s Business and Law programmes. 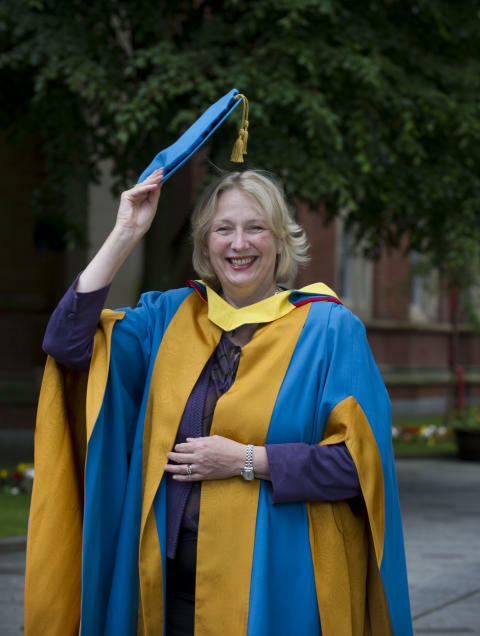 Honorary degrees are awarded to individuals for their achievements and to their links with the University in recognition of their inspirational careers. Gadhia’slecture at the University as insightful given Northumbria’s own determination to solve problems and unlock value by supporting its leading academics and creative students to collaborate with businesses across the NorthEast.